After one or two dressed up Christmas party outfit posts, I’m bringing you the opposite end of the festive season dressing spectrum: The laid-back, casual party outfit. Something that’s practical, warm and still Yuletide-appropriate. 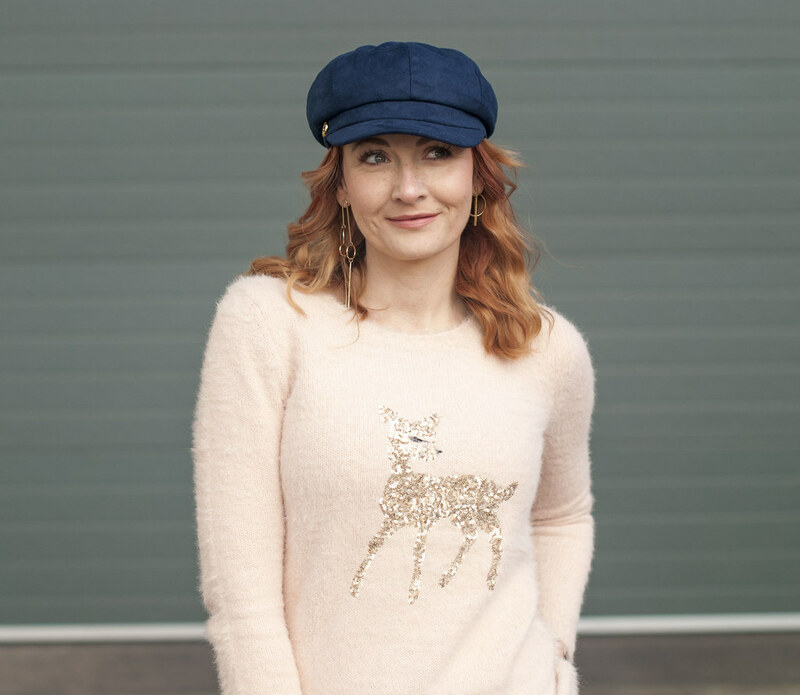 This is one of those outfits that’s all about the Christmas jumper – and oh my god how crazy have sales of Christmas jumpers got in the last few years? 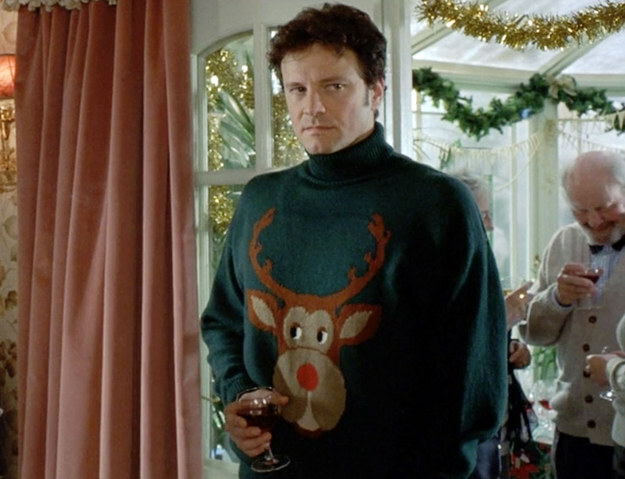 What used to be something that Bridget Jones mocked poor Mark Darcy for wearing has now become THE thing to wear at Christmas. 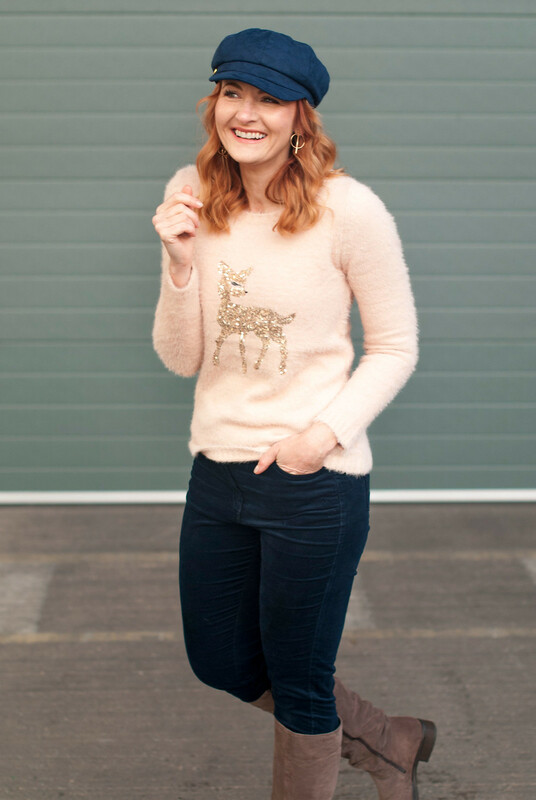 Sure, there are many tasteful or elegant ones like my fabulously fluffy sequin reindeer sweater, but truth be told, Christmas jumpers are meant to be a little tacky (and isn’t that what we love about them)? Why has this happened? Did Mr. Darcy start it off as long ago as 2001? I guess we’ll never know. This was one of the outfits I wore for the M&Co InstaStories takeover I did a couple of weeks ago, and I’ve actually worn it to death so much that I think Keith was starting to wonder if I had anything else to wear. This Friday is Christmas Jumper Day which raises money for Save the Children in the UK, so please do consider getting your Xmas knit on and making a donation if you’re a UK dweller [not sponsored btw]. I’ve picked out some fabulous Christmas jumpers for you to shop if you scroll down, but hurry – as damn, they sell out fast! I really had no idea they were such a massive thing till this year when looking for a not-totally-tasteless Christmas jumper. Nearly all retailers have a fairly large selection of them these days. Many have just one or two sizes left in each style however, but I’ve chosen ones which have most or several sizes still in stock (at the time of writing). IT’S BARELY LEFT MY HEAD – NOT ONLY IS IT A SOFTER COLOUR THAN BLACK (BEING NAVY) AND A BAD HAIR DAY HERO, BUT IT’S FUR-LINED, PEOPLE. 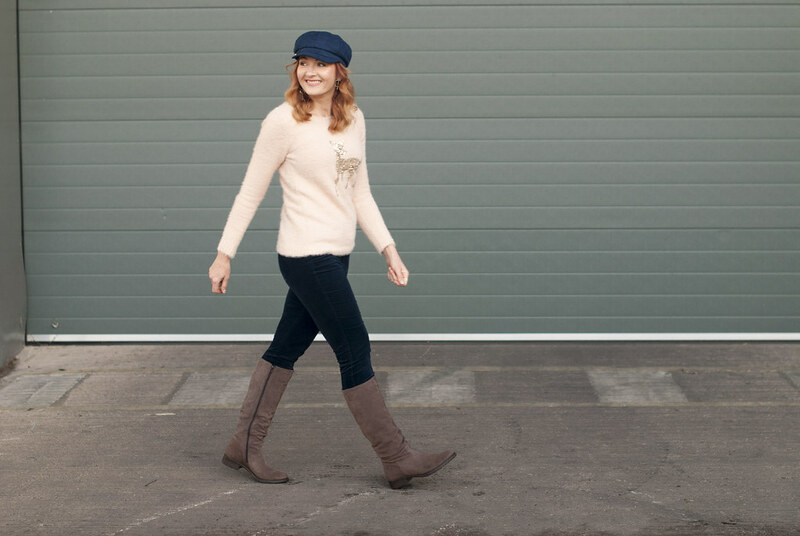 I styled this outfit so that the sweater was really the centre of attention (the M&CO velveteen navy trousers and flat knee-high boots are both supremely comfortable, which is probably why I’ve worn them to death), but the navy baker boy hat has been receiving a lot of attention on my Instagram and when I wore it on the ferry to Calais the other week. It’s barely left my head – not only is it a softer colour than black (being navy) and a bad hair day hero, but IT’S FUR-LINED, PEOPLE… it keeps your head soooooo warm. While I do love my pom pom beanie hats, I like to wear something else in the winter for a change but often have to sacrifice warmth if I want to switch it up a bit. And you get all of that on-trend head warmth for a mere £14… bargain! One last comment on the jumper/sweater thing: Although I’m British and we say jumper, the Americans say sweater… I tend to say sweater because I used to work in a very expensive cashmere concession in Selfridges many years ago and it was drummed into us to say “sweater”, not “jumper”. (Yes, I’m rolling my eyes right now.) HOWEVER when it comes to certain types of sweaters (of which there are two), I always, always revert to the British: Christmas jumpers and school jumpers. Changing either of those to sweater just sounds plain wrong to me…! 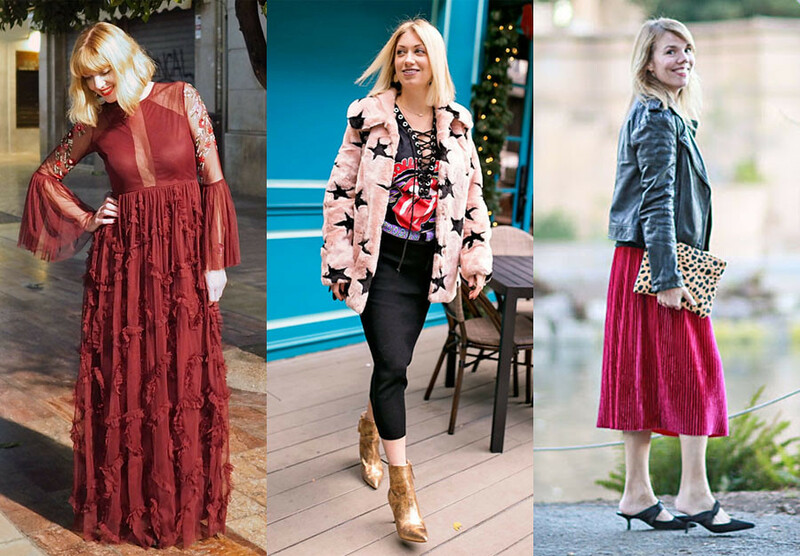 Do add your outfits to this week’s link up – and if you’ve added a link to here or my button to your post you may be featured next week! ARE YOU A CHRISTMAS JUMPER (OR SWEATER!) FAN – AND IF SO, JUST HOW TASTELESS DO YOU GO…?! COMMENT BELOW, OR TAKE IT TO TWITTER @NOTLAMB! 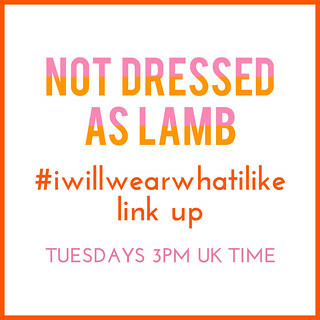 Thank you for joining the #iwillwearwhatilike link up! This started as a campaign on Instagram in August 2015 where women over 30 wore everything on a journalist’s list of “inappropriate” items for 30+ women (including leopard print, short dresses and oversized sunglasses. Yes, really). It was so popular that I decided to carry it on weekly where women of all ages link up their fabulous style, never mind what anyone tells them not to wear! The link up goes live every Monday at 3pm UK time and will stay open for a week. Whilst the original article was of course aimed at the 30+, you can be ANY age to link up. The only criteria is that you’re wearing whatever you damn well like! CLICK HERE to read the rules of linking up (and to grab the #iwillwearwhatilike button). Basically it’s just good manners to link back to here – to leave a comment is even nicer! 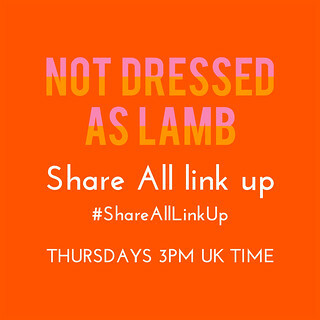 To get yourself featured next week, make sure you’ve included a link back to Not Dressed As Lamb or my button in your post/sidebar! 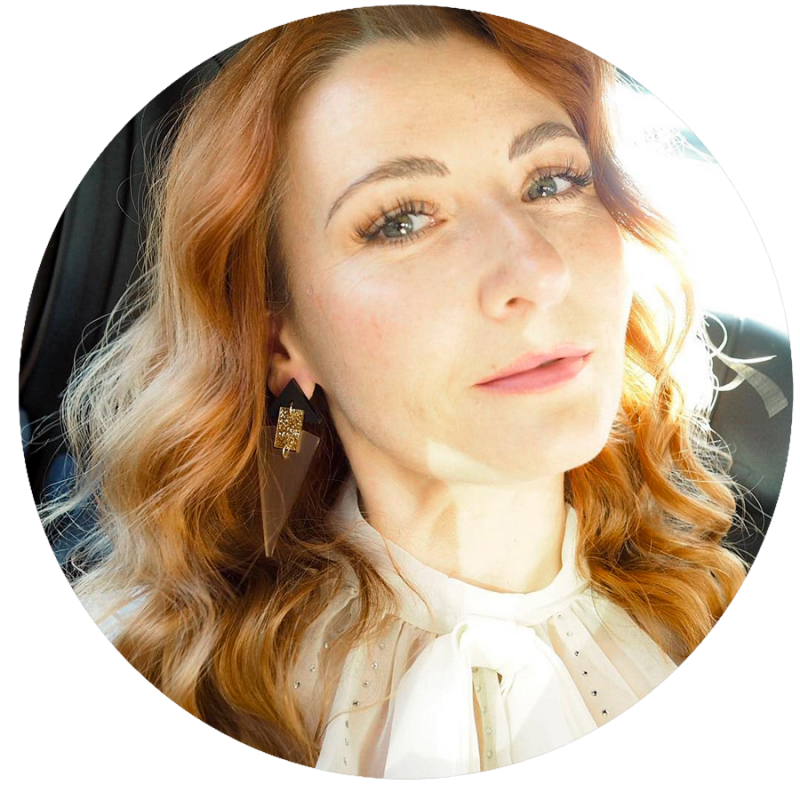 DO SHARE THE LOVE AND VISIT AS MANY LINKS AS YOU CAN (YOU NEVER KNOW WHAT OTHER LOVELY LIKE-MINDED LADIES YOU MIGHT MEET) – THE ORIGINAL INSTAGRAM CAMPAIGN FORGED SOME WONDERFUL NEW FRIENDSHIPS SO DON’T MISS OUT! P.S. DO CHECK OUT MY PINTEREST BOARD WITH ALL THE BEST OF THE #IWILLWEARWHATILIKE LINK UPS – HAVE YOU BEEN PINNED…? Disclosure: This post contains affiliate links which means if you click through and buy I may receive a small commission (click here for my full disclosure). 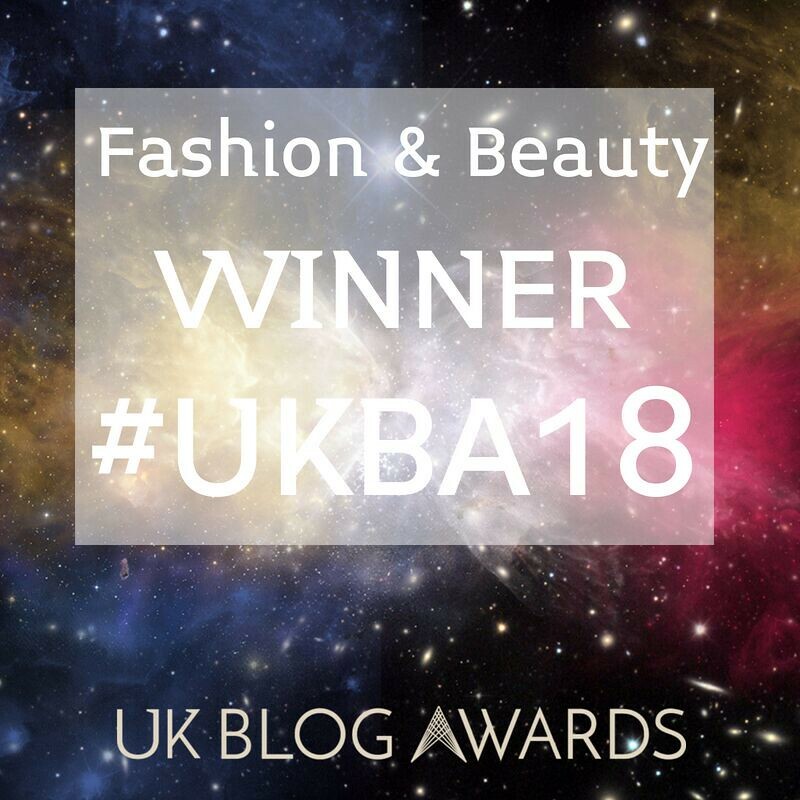 Previous Post I’ve Entered the UK Blog Awards Again – Please Vote For Me? I absolutely love this festive jumper! It's so cute and yet so elegant! The colour suits very nicely too. Happy holidays! Lovely and cozy! I love the sparkly deer, so cute! I finally caved and bought my first Christmas jumpers(s!) this year, I don't know why I waited so long! The hat is faux fur lined?! Amazing!! This is my kind of holiday outfit! 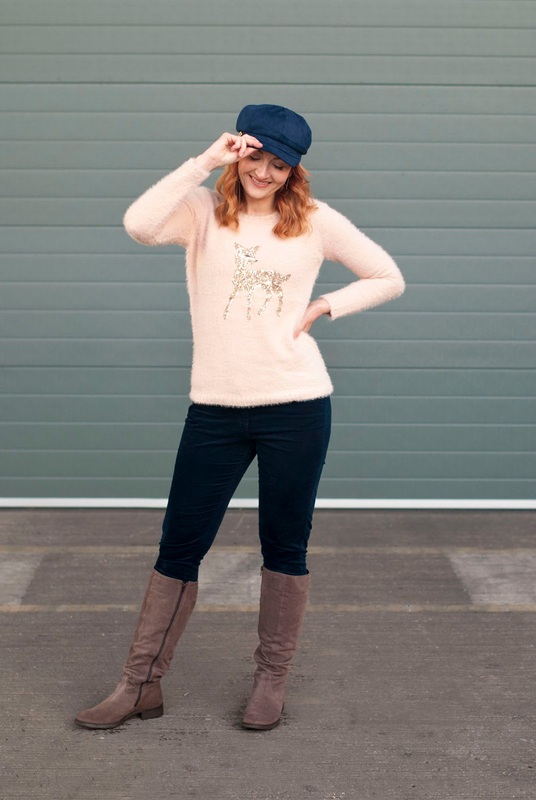 Such a great sweater and the hat is amazing on you! 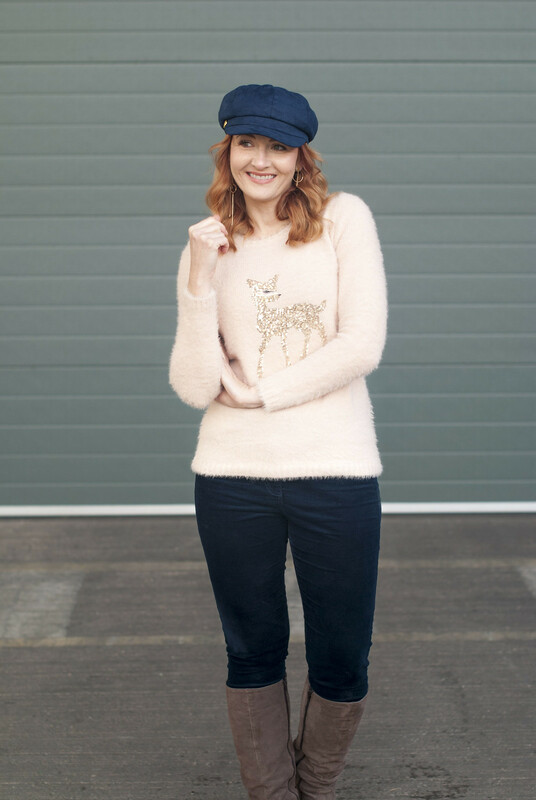 Sharing my casual holiday look in the link up! Oh I love that Christmas jumper! It's the perfect colour. I also went down the tasteful route and bought my first ever Christmas jumper this year as I saw a pale blue deer one in M&S on offer, so I nabbed it! The jumper looks very soft and cosy, lovely colour too. I'm not really into Christmas jumpers because I'd only get to wear them for a couple of weeks a year, but I do like a wintry animal motif. A lovely stylish Christmas sweater! Lovely! Ohh, what an adorable outfit. You are always so stylish, Catherine! That's probably one of the cutest Christmas sweaters (jumpers) that I have laid my eyes on. I LOVE the blush/peach color. Whatever you want to call it, sweater or jumper, this one you're wearing is super adorable. Love that sparkly little deer and the fluffiness. Looks warm too. I don't have a Christmas themed jumper, but now after reading your post I am motivated to find one. Catherine, this sweater is so super cute! And I love that you say jumper rather than sweater. I would love to use the word jumper, but I fear that it would appear as if I were either mocking the British or trying to be British. So as an American blogger, I must stick with the term sweater. In any event, this outfit is so totally perfect for any casual holiday event. And I have some similar pieces to perhaps copy what you have done here! So thank you for the inspiration! Sweet Christmas jumper , the advantage of a cold weather Christmas, wearing those jumpers. Christmas is looking to be quite hot here so no cute woollies.Thank you for hosting. I've been loving my GAP skinny navy velvet pants!!!! Adore your sparkly holiday sweater! Thank you for hosting Catherine!! Aww she's just like Bambi, so adorable! I'm also loving hats at the moment but I'm yet to buy a baker boy. I think since this one is fur lined it's gotta be THE ONE. Sweetest jumper ever, dear Catherine. Glad to join you yet another Monday. I want that sweater! I don't know what size to get if I'm a S/M in the US…what do you think? Yay! I ordered it, the pants and the hat…obviously, I love your style! Oh, I absolutely love that sweater! So cute and pretty! The truth is everyone, no matter how tasteful you may be , everyone has an inner tacky sweater gene , just waiting to surface! This is a beautiful Christmas sweater, soft in fabric and design, and your styling looks great. Seasonally, for many years the "ugly Christmas sweater" has been flogged on Vancouver streets, at first just the vintage ones – now they make them new, which I recently discovered. It's interesting how styles/trends move along the chain. Thanks for the linkup! What a surprise to open your email this morning and see myself featured! Thank you so much for the love—you're one of my favorite bloggers and it means a lot! Also, I think you've chosen the most chic Christmas sweater/jumper ever! I haven't been huge into the Christmas sweaters of late, but this one is totally different. It really could be worn all winter, and that's my kind of sweater!! I love your outfit. It looks so comfy, cosy yet elegant. It is not right for my shape, but I will upload my version of a snuggly sweater to the link-up. No Christmas sweater for me though. I did it once and I was done with it. The hat must be soooo nice in this weather. As usual it suits you so well. I LOVE the sweater you're wearing, Catherine. It's sparkly and perfect for Christmas. I don't think I've ever actually had a Christmas jumper, to be honest. But if I did, it would have to a pretty sparkly one lol. There are some fabulous selections here though. I might have to start getting one every year! !